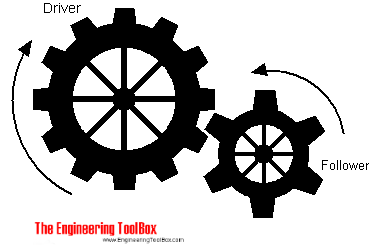 A simple gear can change magnitude and line of action of an effort force. The effort force is applied to the "driver" and the load is applied to the "follower". 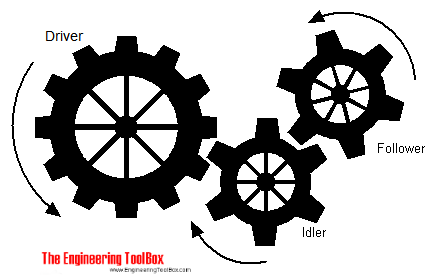 When the same direction of rotation is required for the driver and the follower, an idler wheel is used. Calculate follower output moment load. The calculator is generic and can be used for SI and Imperial units - output units equals input units. 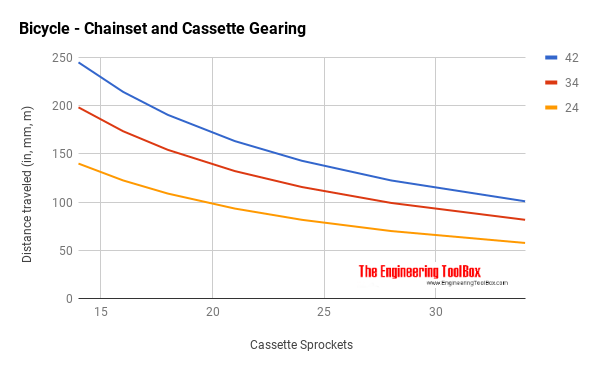 Typical gear ratios for different types of gear sets are indicated below. A mountain bike with 26 inch outer diameter wheels has a 42/34/24T chain-set and a 7-speed 14-34 cassette in the rear wheel. 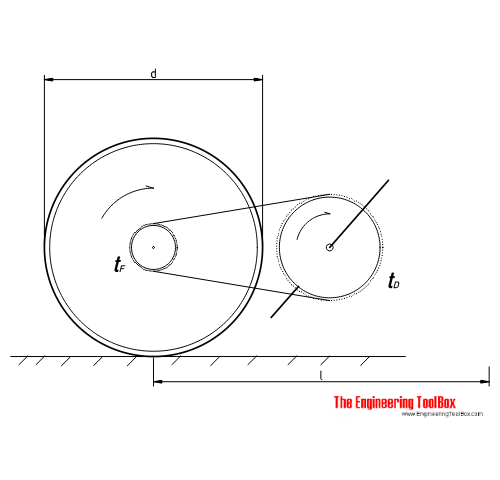 Calculate distance traveled by wheel. Make your own graphical Bicycle Gearing Calculator by using this Google Docs template! Engineering ToolBox, (2009). Gear Trains - Bicycle Gearing Calculator. [online] Available at: https://www.engineeringtoolbox.com/Gear-Trains-d_1374.html [Accessed Day Mo. Year].